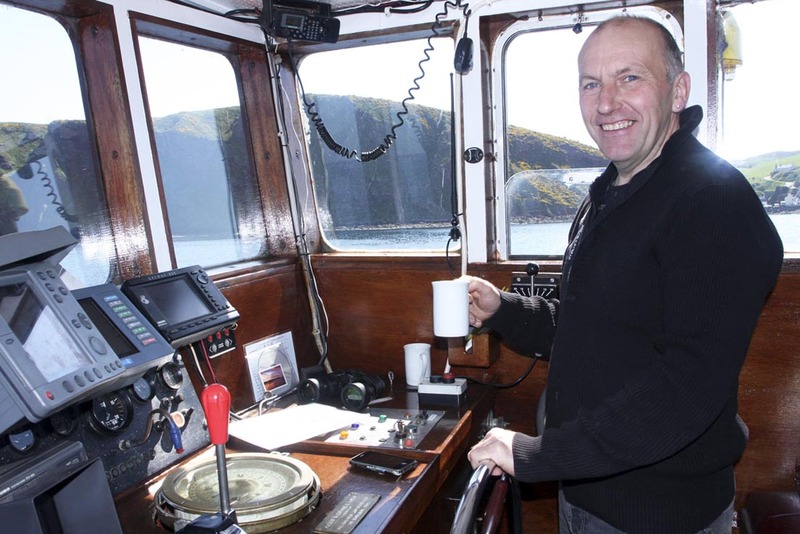 Explore the Moray Firth aboard the “Guide” and the “Seacat”. 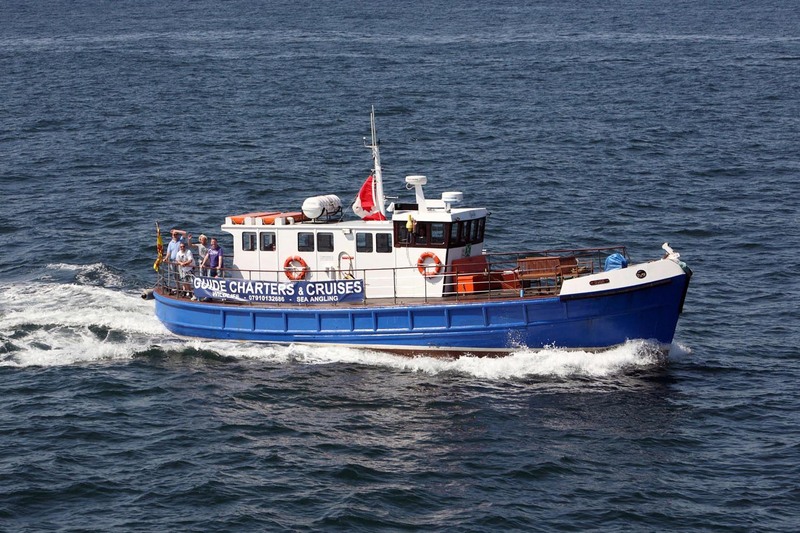 . .
Operating out of Fraserburgh and Macduff harbours, two of the few working fishing harbours still in existence on the breathtaking Banffshire coast of north east Scotland, Guide Charters offers you the opportunity to take a boat trip aboard the “Guide” or the “Seacat”. Currently, we offer a choice of either 2 or 3 hour wildlife trips or 3 or 5 hour sea angling trips. 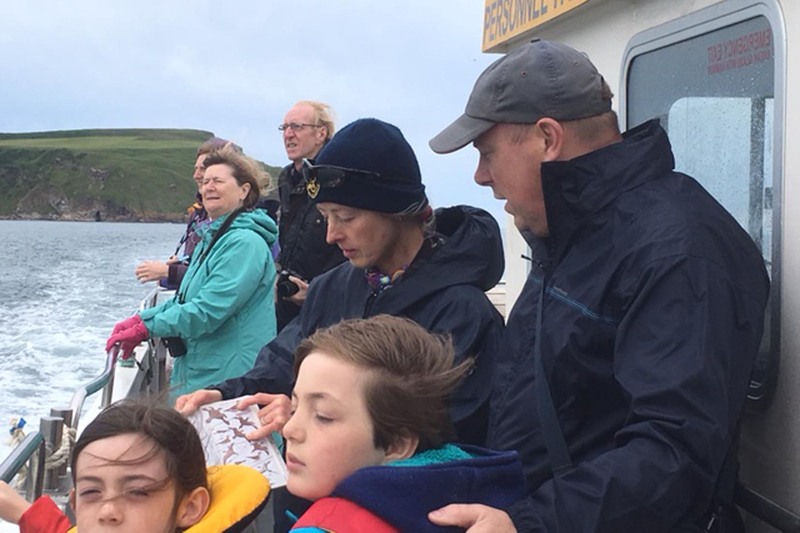 So, whether you’d like a tour of the stunning Banffshire coastline, wildlife or bird watching on the Moray Firth or even a relaxing fishing trip, complete with tackle, we at Guide Charters can help. “Guide” is a 55ft (16.5m) wooden build by J N Miller of St Monans in 1954.She was originally a pilot boat for the River Humber, then she was taken to Orkney where she was used as a passenger tour boat before arriving in Macduff in spring 2011 to start a new career on the Moray Firth. “Guide” is on the Historic Ship Register and the certificate can be seen onboard. “Guide” has a license for up to 12 persons (1 April – 1 November). The boat is fully insured, equipped and certified to meet the safety requirements of the MCA (Maritime and Coastguard Agency). Lifejackets are provided, but please remember to bring warm clothing and footwear as it can get cold out at sea, even on a warm day! “Seacat” is an 11m Blyth catamaran, with indoor seating, stable and comfortable. 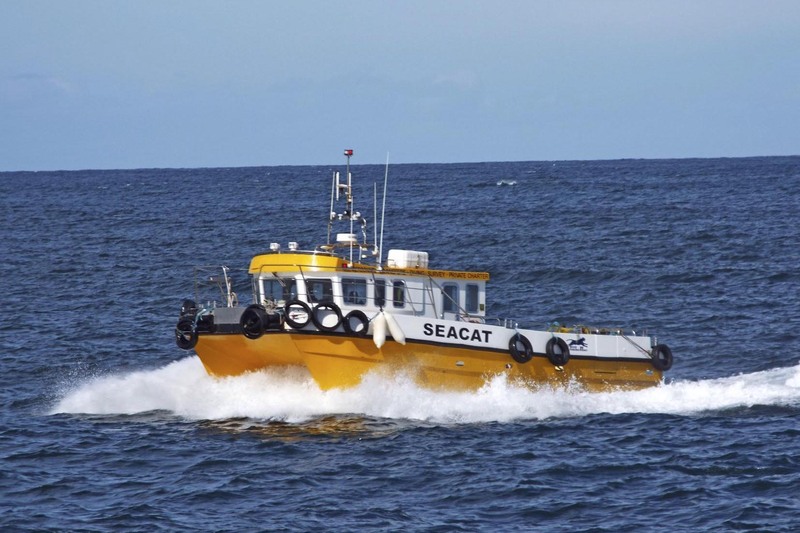 “Seacat” has a license for up to 12 persons (all year). The boat is fully insured, equipped and certified to meet the safety requirements of the MCA (Maritime and Coastguard Agency). Your skipper Harold, who is a native of Whitehills, is an experienced fisherman. 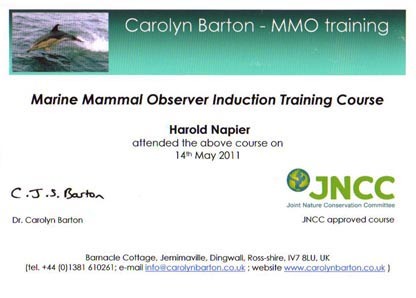 He has a wealth of knowledge about the area and the fishing industry which he will enjoy sharing with you! New for 2017 . . .
We now have a wildlife guide joining us on the wildlife trips: Sophia MacDonald who is an environmentalist, is very knowledgeable on all of the wildlife that you are likely to see on our trips. He loves the sea and he loves his boat . . .